We hope that everyone is having a great summer. An opportunity to rest, relax, catch up with family and friends - well hopefully! EVENTS: in our Webinar Rewind: Anne Pattillo’s discussion on making sure your organization is P2-Centric, our August Webinar - squishy and scientific; the IAP2 North American Conference is almost here and have you thought about online training? Think back to 25 years ago. It was 1992, an election year – Clinton, Bush, Perot. Our country’s population just tipped the 250 million mark instead of the 326 million we are now. Dr. Seuss’ Oh The Places You’ll Go topped the bestseller list, and Murphy Brown, Cheers and Northern Exposure were playing on our TVs. No one had a smart phone. No one texted. It was in this time when a few thoughtful people knew that an idea had reached its own time. That idea was that public participation was in its own right a field of practice, a worthy cause, and a specific set of values. For this final article about the Core Values, I spoke with Julia Balabanowicz, Jan Bloomfield, Penny Mabie, Joel Mills, and Gay Robinson about the importance of Core Value 7 and how they use Core Values in their daily P2 work. Core Value 7: Public participation communicates to participants how their input affected the decision. What I heard most from the people I interviewed was that this Core Value was an imperative opportunity to build trust that often gets missed. Julia Balabanowicz said “it allows [decision makers] to demonstrate to [the community] the value and purpose of their participation. It shows that you respect the time and energy they took to show up and participate.” While immersed in the middle of designing a new park, extending a sewer system, altering bus system, or developing a new comprehensive plan it’s easy to forget that the public is not thinking about this project every moment of every day. In 2014, the San Francisco Municipal Transportation Agency (SFMTA) conducted an internal assessment of its public outreach and engagement practices with the goal of improving consistency across its 200+ projects. They also interviewed other transportation agencies nationwide, and researched best practices in the field of public participation. Based on this assessment, the agency created its Public Outreach and Engagement Team Strategy (POETS), pointing a new path forward and starting a close relationship with IAP2. P2 Support from Decision-Makers: – the latest IAP2 White Paper! The third White Paper commissioned by the IAP2 Canada Research Committee is now available. 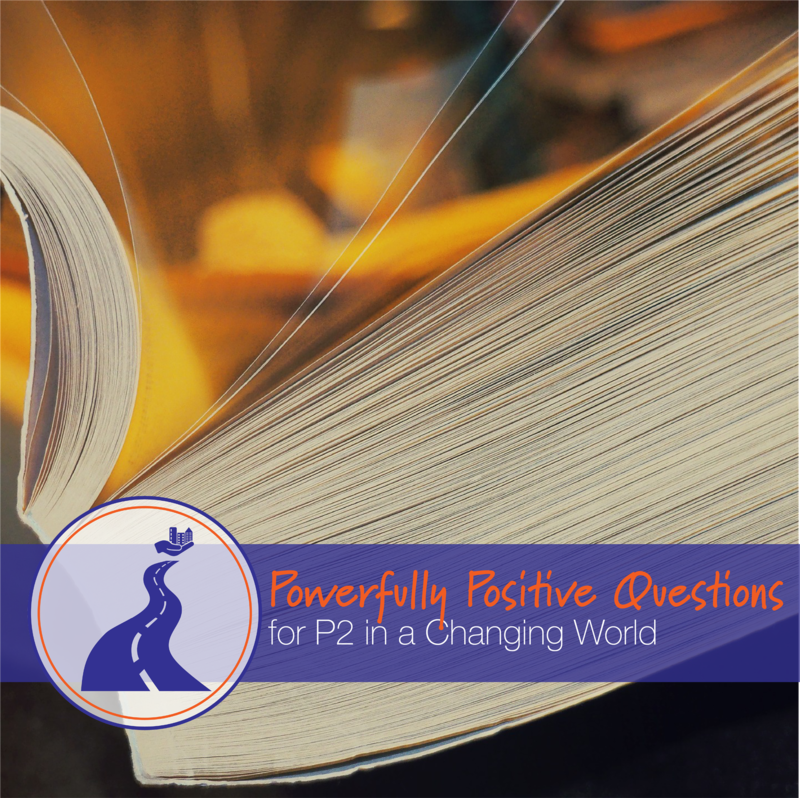 In this, Colleen Gareau reviews Decision-Maker Support for P2. In particular, she looks at the work done by the City of Edmonton to ensure the public is involved in decisions that affect them – and the buy-in required from elected officials and staff. 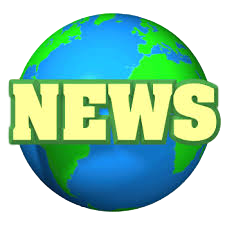 Announcing the IAP2 USA Greater Good Award! Submit your proposal for APA's New Orleans Spring Conference! Strong Roots, Big Plans...a framework for collaboration between the American Planning Association and IAP2. APA's 2018 Conference, themed Strong Roots, Big Plans, is taking place next April in New Orleans. The conference is a great opportunity to present to an allied field about the importance and effectiveness of public participation. It’s true that many organizations – private corporations and public agencies alike – are incorporating Public Participation into their practices, but there is another step they can take: becoming P2-Centric. 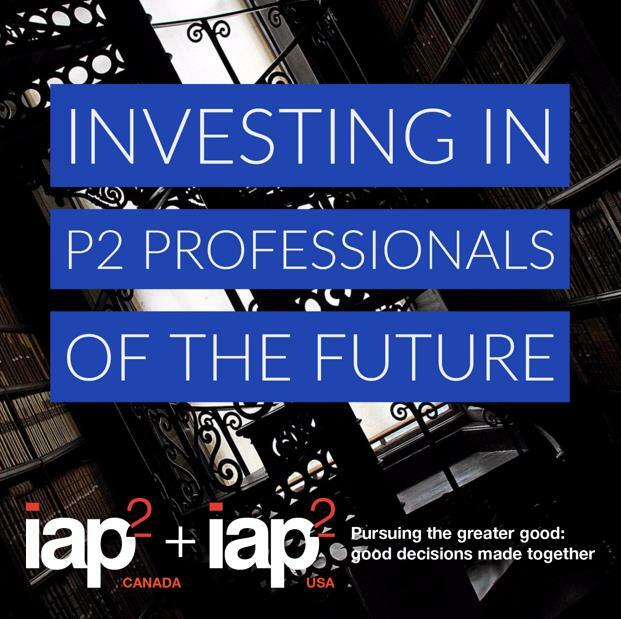 Our July Webinar brought another of the popular sessions from the 2016 IAP2 North American Conference in Montreal: Anne Pattillo’s “Is Your Organization P2-Centric?” To Anne, a P2-Centric organization (P2CO) is one that “puts citizens as the main stakeholder of their decision-making, thinking, planning and action.” Does that describe your organization? And if not, how do you get it there? This webinar took place yesterday, August 15. Good P2 makes for better decisions, and good P2 with a well-informed public makes for the best decisions of all. But when it comes to science and policy in environmental issues, how do you engage people well enough to keep them engaged? Mark Szabo struck a very responsive chord with attendees at the 2016 IAP2 North American Conference in Montreal when he addressed the question of understanding "squishy stuff": people rated his session very highly. Now it's your opportunity to learn from what he's learned and apply it to your own work. Meantime, Jacques Benard questions whether collective intelligence is really the best way to go and asks, "Are We Smarter Together?" The answers he's come up with might surprise you. 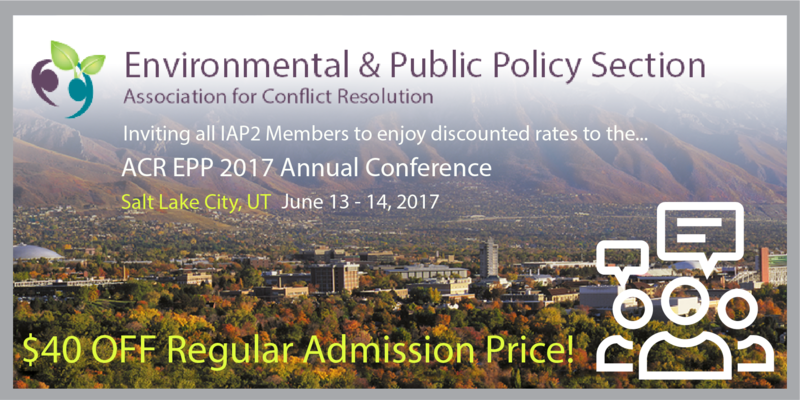 We’ve reached the “ignition sequence starting” part in the countdown to the 2017 IAP2 North American Conference, but there is still time to register and join us in Denver. We have over 40 sessions, all pertaining to the theme; there are Pathways – in-depth explorations, such as the continuation of IAP2 USA’s National Dialogue on whether P2 is facing a crisis or an opportunity, how to move from having people connect to collaborate in a social-media-dominated world; and co-creating a new Encyclopedia of Positive Questions for P2 Practitioners. On top of that, the Local Fun Committee has set up some intriguing pre-Conference activities, including field trips to see P2 at work in Boulder, Fort Collins and several neighborhoods in Denver. If you can make it, we’d love to see you – although please note that the special Conference rate at the host hotel, the Westin Downtown, has expired. Time is our most precious commodity and knowledge is power. Are you short on time and want to continue your learning? Choose from a variety of topics ranging from Evaluation and Budgeting to Tool Selection and Social Media as a Tool! You will walk away from these short training modules with real working skills that you can immediately apply to your public participation projects! Not quite sure yet? Here are 5 great reasons you should take advantage of IAP2 USA’s online learning opportunities... Read More. Things are heating up in some of our western chapters and we are excited to share it with you! How are you doing in the summer heat? IAP2 USA Chapters are faring well! Amongst all the hustle and bustle of summer life, the Colorado Chapter held their National Dialogue Event and the Cascade Chapter had a Summer Social. 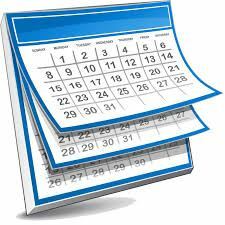 The Intermountain Chapter is getting ready for their National Dialogue Events coming up this August and the Cascade Chapter announces they are re-scheduling theirs. If you have an event idea that you would like to see come to your area feel free to contact your local chapter liaisons! Check out our chapter page for more information and to find out how you can get involved! Why approaches to child obesity demand engagement. From Guy’s & St Thomas’ Charity in the UK. 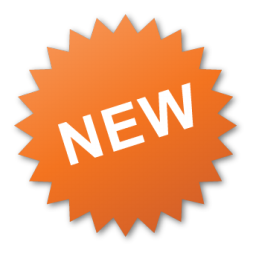 FEATURES: A word from our President summing up what you need to know about the 2017 membership survey; the review is in on IAP2's Spectrum; we're discovering something new in P2 with this month's membership spotlight; the Journal of Public Deliberation is out; and Planning is starting for the 2018 Skills Symposium in Austin! In March 2017, IAP2 USA conducted a membership survey asking you questions about the services and programs we offer now, how you’d like to see those services and programs progress in the future, the challenges and needs facing P2, and the role of IAP2 in addressing them. We received 173 responses, a 16% member response rate. We’d like to take this opportunity to thank you for your participation and provide you with the highlights of the findings. We are taking your feedback and will turn it into future actions to better serve our members! It’s been over two years in the process, with a fair bit of informal discussion before that: now, we are pleased to present the long-awaited review of the IAP2 Spectrum. IAP2 Canada took the lead on this project, with input coming from more than 220 practitioners from all over the world via online forums, outreach at conferences and blog postings, among other means. Now, IAP2 Canada president Bruce Gilbert and Board member Tracy Vaughan have summarized these comments into a review. This will be forwarded to the Federation and circulated to all Affiliates. The Federation will then decide whether the Spectrum needs to be changed, based on the feedback in the Review, or whether more consultations are necessary. Thank you to all of you who offered your comments and suggestions. If you have any further comments or questions, please send them to info@iap2canada.org. If something needs to be clarified, we’ll do it; any other comments will be sent to the Federation. 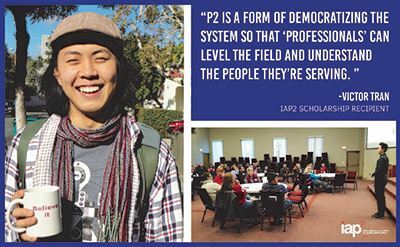 IAP2 is a proud partner , along with the newDemocracy Foundation and the Deliberative Democracy Consortium, of the Journal of Public Deliberation. The new edition is now online, and you can read it here. You may recall that last month, we shared a link to an opinion piece on the decline in respect given to “experts” on any given topic. The spring edition of JPD includes a study by a group of Brazilian researchers on the role experts play in a deliberative setting. 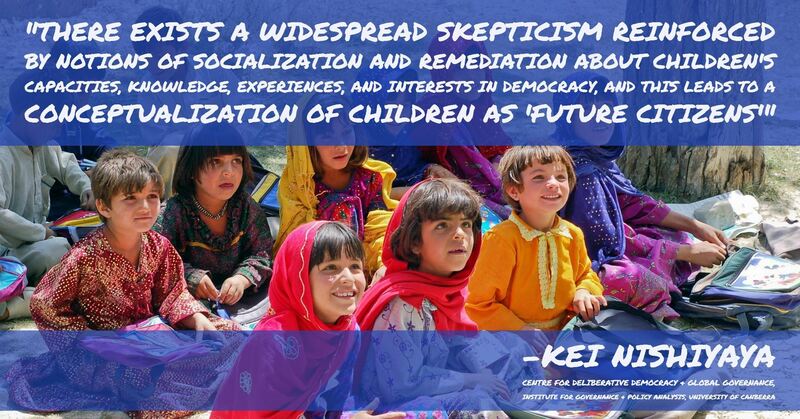 Other offerings include studies in children in democracy and the role of social media. Victor Tran is currently in his first year of Portland State University’s Master of Urban and Regional Planning program. Motivated by his own family’s story of immigration to Alberta, Canada where he grew up, Victor was eager to learn more about how urban spaces can help reduce real and perceived barriers for different groups of people. How, in fact, the physical design of environments has direct outcomes on the health, sustainability, and overall quality of life for people. Victor heard inklings of IAP2 when he was working with a business improvement district in Calgary, but as he dove into his planning studies this winter, IAP2’s connection with what he was learning and the work he hopes to do some day clicked. 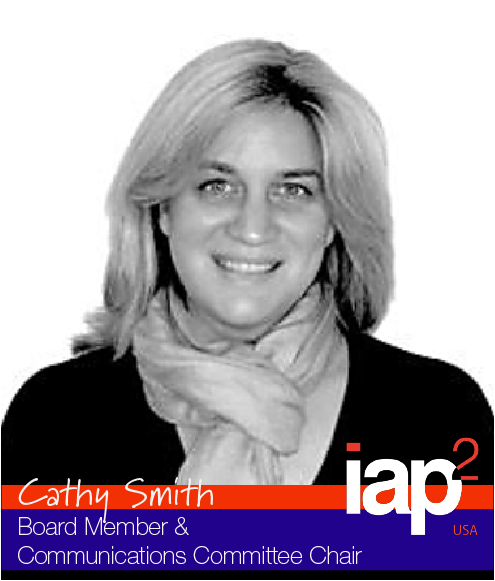 He joined the IAP2 Cascade Chapter and has been an active member since. He also looked around the PSU campus for opportunities to combine his passion for shaping the built environment and public engagement. What he found was a two-day intensive Public Interest Design (PID) course presented by Design Corps, the SEED Network, and the Center for Public Interest Design. One of the ongoing challenges for a P2 practitioner is to get people excited about a project, so they will give their input on its development – especially people who might not otherwise take part in the process. The solution is to take the mountain of facts and figures and find ways of grabbing people’s attention and inspiring them to give their input. Jamie Harvie and Sam Beresky of JLA Public Involvement in Portland, Oregon, have worked on many P2 processes that involved mundane but very important subjects. The list includes transit infrastructure, a water pipeline that had to be routed through traditional Native lands and sewer stewardship. Find out how they did it, here. You have a tight P2 budget and need to make the most of it. Online engagement tools are a help and can be cost-effective, but you still know the value of face-to-face sessions – the give-and-take; the meeting of minds. They need to be facilitated properly so you get true consultation and meaningful results and not shouting matches dominated by The Usual Suspects. Our next webinar -- Tuesday, June 13 at 2pm Eastern / 11am Pacific, gives you a chance to learn how one mid-sized Ontario city made that leap from intentions to results. 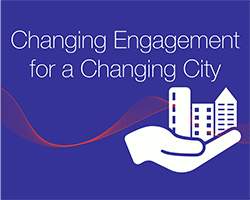 Kate Bishop of the city of Guelph, Ontario, and Rebecca Sutherns of Sage Solutions will discuss four in-person engagement activities run by the city. You'll also have a chance to share some of your own experiences and observations. Register here for this webinar, and remember the two-stage process -- follow the URL in your Registration Confirmation email to get your login information. Do you work in municipal engagement and sometimes feel like the guy in the Greek myth, constantly pushing a rock up a hill? Have you ever wanted to create an engagement tool? Do you find conversations have become less about listening and more about waiting for one’s turn to talk? Here are three more sessions at the 2017 IAP2 North American Conference that can inspire, amuse and engage you. 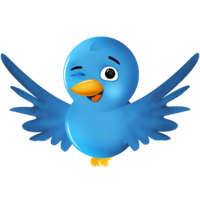 You can read about more of the sessions on the IAP2 USA blog – search the tag “2017 North American Conference” – and remember: the deadline is just over a month away to register for the Conference at the Early Bird prices. Until June 30, you only pay US$ 550.00 ($700 for non-members). As of July 1, those prices go up by $100.00, so don’t delay! The P2 profession is often about acquiring new tools, but have you ever built one, yourself? 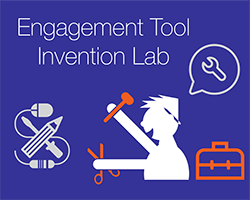 The “Engagement Tool Invention Lab” gives you the opportunity to do just that, brainstorming with practitioners. Kit Cole, Francesca Patricolo and Lauren Cobb will provide a real-life scenario from the often-controversial worlds of transportation and utilities planning, and then turn you loose in small groups to come up with a means for members of the public to make informed decisions. 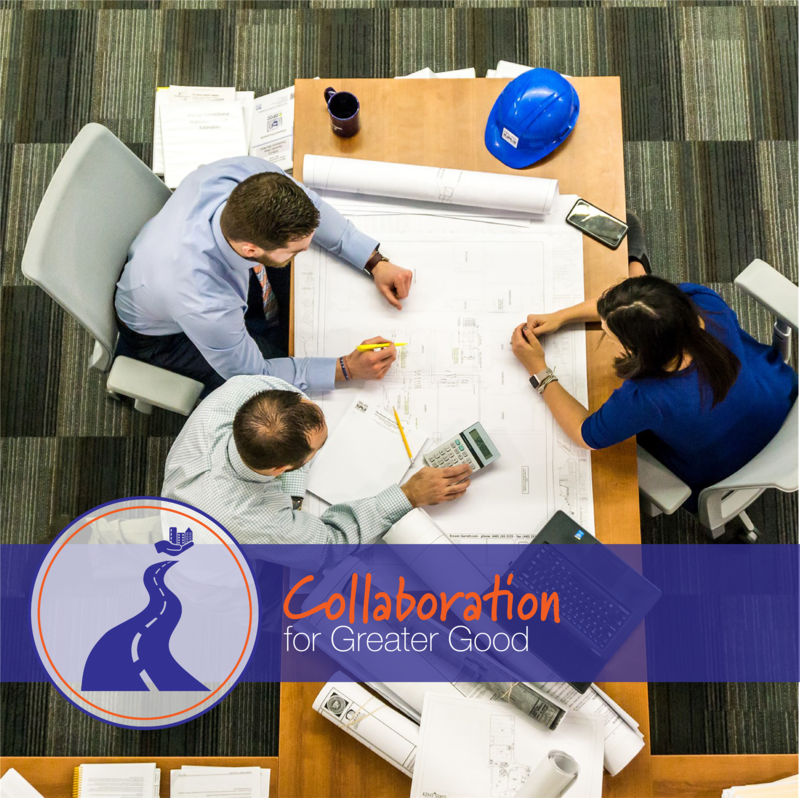 You’ll get to put your creative and problem-solving skills to work in a collaborative environment, help assess what your team and others have developed, and come away with at least one new tool for gathering public feedback at open houses. It’s something we do 80 percent of the time, but it’s becoming a lost art: listening. Social media has brought plenty of avenues for expressing ourselves, but who’s really listening? It’s reached the point where some universities are offering courses in listening and some businesses are including listening in their employee training. 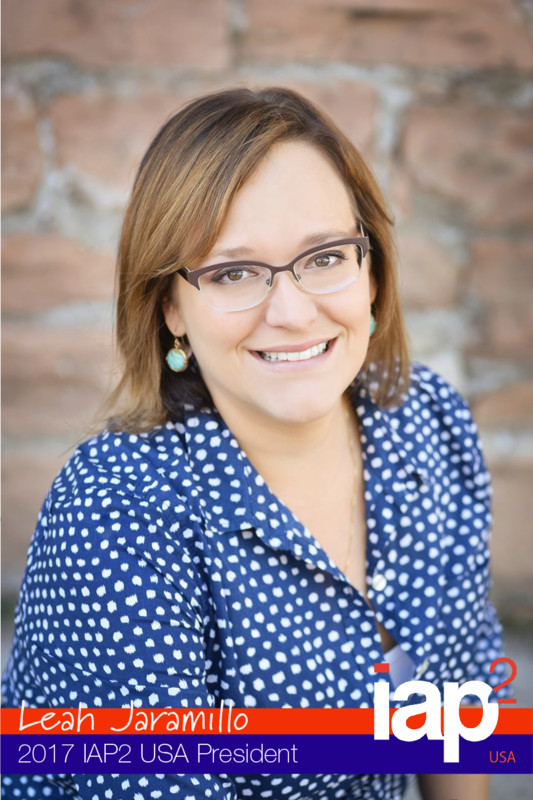 Listening is more than not talking, and at the IAP2 North American Conference, Dr Cassie Hemphill, a member of the IAP2 USA Certification Task Force, will offer a workshop to help re-focus on that important social skill. 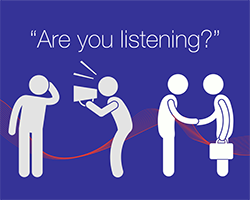 In “Are You Listening?”, you’ll spend time assessing your own ability to listen, then play a whole-group game to refresh the basics, and come away with some new tools so you’ll be more aware of what others are saying. Do you work with a city’s engagement process and sometimes feel you’re alone in the battle? Come and learn about how one city has been changing its approach to P2 and spend some time with other municipal engagement leaders, too! Jane Purvis, Public Engagement Advisor to the City of Edmonton, Alberta, will describe “Changing Engagement for a Changing City”, the Alberta capital’s three-year-long Initiative on Public Engagement. The Initiative was set up to respond to changing demographics and expectations and heard from over 1,000 community voices in its workshops and online sessions. Ultimately, that response will lead to a greater good as people take ownership of the policies and programs in their city. What does this mean for you? An opportunity to see how one city is succeeding in this area, and a chance to meet and swap ideas with other P2 practitioners in similar positions. Show North America how we pursue the greater good! IAP2 USA and IAP2 Canada are pleased to announce our second joint fundraiser to benefit our new student scholarship programs! The fundraiser will be held at the 2017 IAP2 North American Conference in Denver, Colorado Sept. 6-8 as a silent auction of items donated by chapters, businesses, trainers, board members, and generous attendees like you. Supporting students encourages student membership, relationships with universities, research in the field, and the ongoing vitality and sustainability of our organization. Thank you for considering supporting this great cause. I mean REALLY! What is Participatory Budgeting? Mon. October 16 - Fri. October 27 – "Participatory Budgeting"
The Intermountain Chapter is proud to announce they are co-hosting “Fostering Productive Dialogue in Divided Times” with the U of U’s S.J. Quinney College of Law, The Langdon Group, and the Utah Council on Conflict Resolution. The Cascade Chapter has announced their 2017 Student Scholarship Winner and an upcoming PI Networking Event featuring “Race Talks” with Donna Maxey! They are also celebrating a great influx of new members in the government sector! The Puget Sound Chapter is cranking up the heat in their area! They are hosting National Dialogue event in Kirkland, Washington! 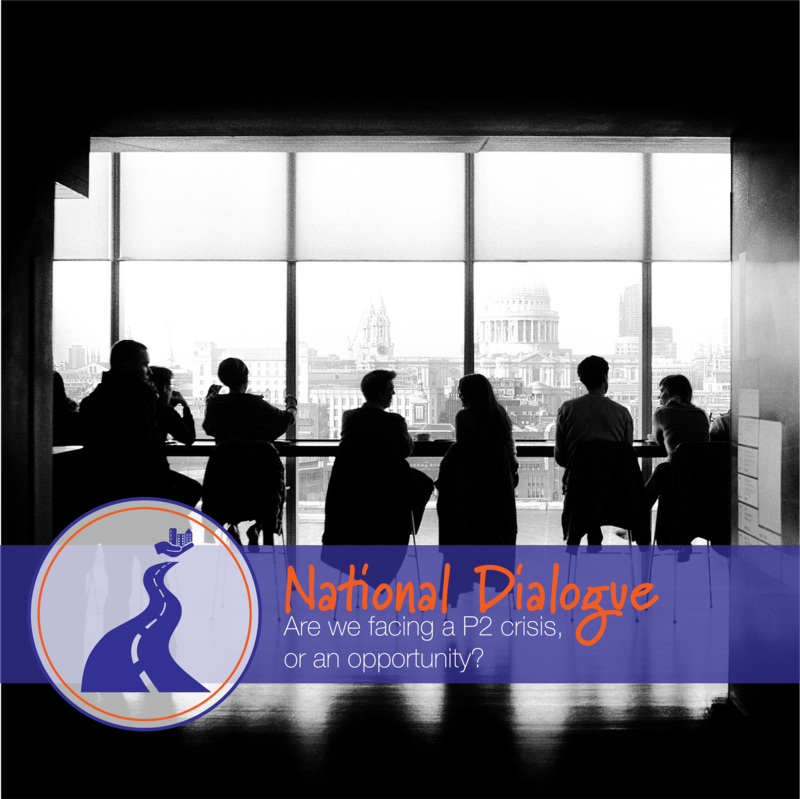 This event is part of IAP2 USA’s effort to answer the question: “Are we facing a P2 crisis or opportunity?” Join the Puget Sound Chapter as they work their way through the tough questions on June 22nd, 2017! ACR EPP Invites IAP2 USA Members! Are you a P2 professional specializing in Environmental Public Policy? This conference is for you. In the past few year we have seen an increasing amount of attention in the news, in the meeting rooms managed by practitioners, in the work environment for government employees, and in the daily lives of stakeholders engaged in environmental public policy shift to civility and identity as central topics. As senior, mid-level and emerging practitioners, we are looked to as (or working to become) the expert professionals to design effective processes that support durable decisions. Beat the heat and escape to Salt Lake City for a few days to connect with P2 Professionals in your field. The City of Vernon, BC, is launching a P2 website, and the first item to be discussed is the upcoming civic budget. P2 gets a big hand from writer Cynthia Khoo in Common Dreams, for helping protect “net neutrality” in Canada. From The Villager in New York City, discussion about the need for P2 in connection with a proposed new development adjacent to the Hudson River. For fans of “Failing Forward”, we offer this, from the New York Times.